With the enormous time pressures in their lives, America’s youth need time well spent. 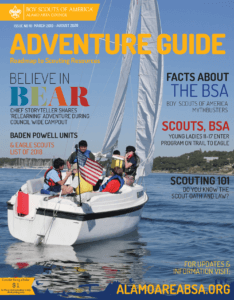 Whether you volunteer as a den leader, Scoutmaster, or merit badge counselor, Scouting will be worth your time and effort because of the benefits it provides to youth. Tell them how much you appreciate what the organization is doing in your community to build tomorrow’s leaders. Contact the [CouncilServiceCenter].